Meet Jack Scratch. Pint-sized hero. Swashbuckler. Adventurer … and singer of pirate ditties! Together with Cap'n Catnip - The World’s Greatest Mariner - and his Uncle Silver, Jack is about to embark on a quest to find the fabled treasure of the Hiss-paniola! And he’ll encounter a whole lot of trouble along the way. 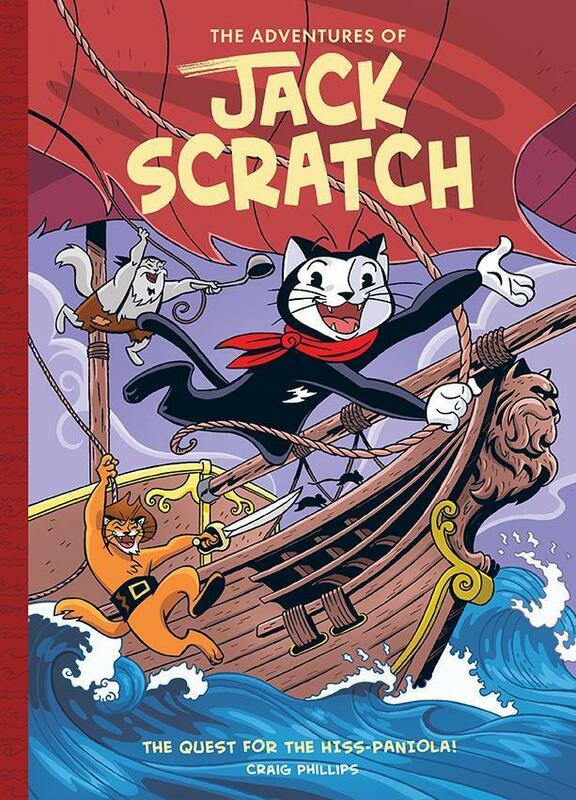 A beautifully illustrated A4 hard cover book, with a stunning cloth spine, that takes us on an adventure with pirate cat, Jack Scratch, and his friends as they search for treasure. This is the first book in the planned series and establishes some of the main characters that will carry through in the following books.